"I want to know where to touch you," he says. "I want to know how to touch you. I want to know how to convince you to design a smile for me." I feel his chest rising, falling, up and down up and down and up and down and "Yes," he says. "I do want to be your friend." He says "I want to be your best friend in the entire world." "I want so many things," he whispers. "I want your mind. Your strength. I want to be worth your time." His fingers graze the hem of my top and he says "I want this up." He tugs on the waist of my pants and says "I want these down." He touches the tips of his fingers to the sides of my body and says, "I want to feel your skin on fire. I want to feel your heart racing next to mine and I want to know it's racing because of me, because you want me. Because you never," he says, he breaches, "never want me to stop....."
I don't know about you guys, but Warner can be my "friend" any day ! ;) Have you read Unravel Me? Are you as obsessed with Warner as I am?! Keep Swooning! AHH I need to read Unravel Me still. Idk what's taking me so long. I also still haven't read Destroy Me. I'm still Team Adam, but maybe those two books will change my mind? Ps. love the Sweet Peril count down! 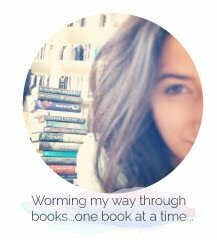 After reading both Destroy Me and Unravel Me, I definitely think that if you don't completely switch to Team Warner, you'll definitely like Warner A LOT more than you did in Shatter Me ! Gah! 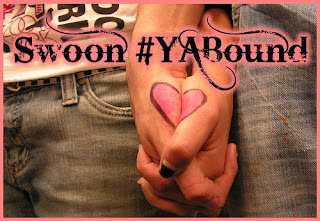 This swoon is seriously hot.... 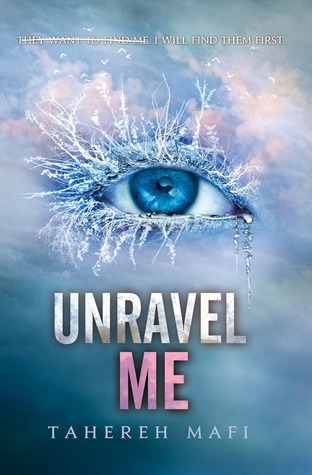 I haven't read Unravel Me yet, but I hated Warner in Shatter Me. And I loved Adam. So it kills me this hotness is with Warner! Sigh. I just need to cave and read it soon.